A classic! 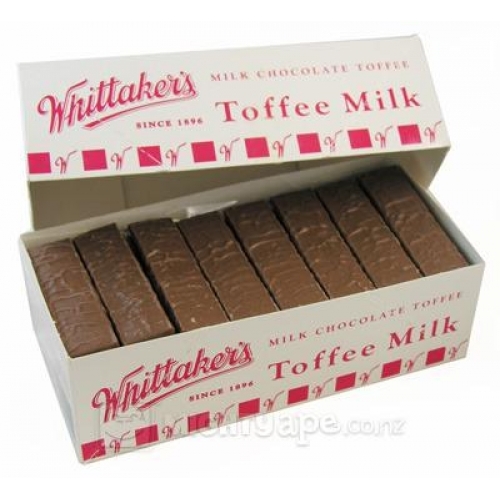 Bulk box with 72 hard caramel toffee sticks covered in Whittaker's smooth rich creamy milk chocolate (11g each). This is quality confectionery made in New Zealand by Whittaker's, and is not old stock.